What is the best time to sell my house? In addition to supply and demand, and other economic factors, the time of year you choose to sell can make a difference in how long it takes to sell your home and in the selling price. Usually the strongest selling season for our area is February through May and again from late September through early November. You'll have the best results if your house is available to show to prospective buyers continuously until it sells. How is the list price determined? It's critical to price your home right in relationship to the current real estate market and to the conditions prevailing in your local marketplace. Your REALTOR� will prepare a comparative market analysis to provide the background data on which to base your list-price decision. Beware of an agent whose opinion of value is considerably higher than the others. A person's first impression, from when they drive-up until they walk through the front door, will often determine their overall decision about buying your home. Making your home look as nice as possible at all times will increase your chances for a quicker sale. 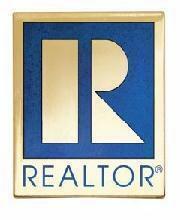 Ask your REALTOR� for information regarding staging your home for showings. Before you spend a lot of money to get your home ready to sell, consult your REALTOR� as to what is necessary. If you are thinking about extensive updating, the best return on your investment is remodeling the master bath and kitchen. Often times only a fresh coat of paint, new carpet, and a thorough cleaning and removal of clutter will do the trick. Note: It is best to keep colors neutral. How can I get more buyers through my house? Price and location determine the number of showings of your house. If it is priced correctly the greatest number of potential buyers will occur during the first two weeks the house is on the market. After that period, showings will slow down significantly. An overpriced home will typically be shown only to justify the value of correctly priced homes in that market. That depends on the price, the competition in the market, and how well you have prepared the house to sell. What does Island Realty Group do to sell my house that is different from other real estate companies? We have seasoned, full-time and experienced sales associates. Our associates are well educated with marketing and technology skills that are far superior to the competition. Most importantly we utilize a comprehensive marketing campaign that guarantees your property the most exposure possible. Please click here to review our marketing literature here. Should I be home when my homes is being shown? We recommend that you not be home when the house is being shown. Let the home speak for itself. Your REALTOR� is skilled at pointing out the best features of your home as they pertain to the buyers needs. What are the estimated proceeds from the sale of my home? More important that the sales price of your home is the proceeds you receive at closing. Your REALTOR� will prepare a net sheet with an estimate of a seller's closing cost as related to the loan the buyer is pursuing (Conventional, FHA, VA, Cash). Basically in New Jersey your closing costs will run approximately 6% of the gross selling price. This does not include REALTOR� commissions.